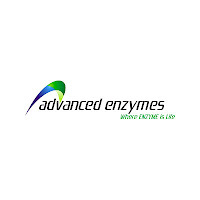 Advanced Enzyme IPO will have good listing gains. As the Advanced Enzyme grey market is on a higher side. Investors are very hopeful for listing gain. Advanced Enzyme grey market is stable at Rs. 320 to 340. Its been another bumper listing for the retailers. It was subscribed heavily in QIB, NII and Retail. In retail it was subscribed 11times. As per the market analyst Advanced Enzyme can list around Rs. 1200 -1250. As the grey market players were more active in this people can expect the same. The 30-40% gain should be there on listing day. Investors who want to stay long can have the stock in their portfolio. As the market sentiment is negative short term investors should sell on listing. This listing will give more strength to investors to invest in primary market.